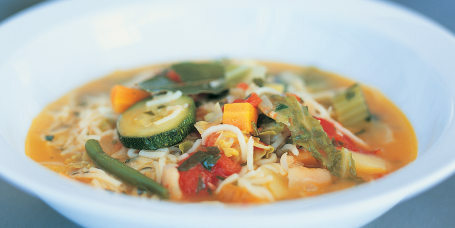 Warm up with delicious soups including classic tomato, hearty vegetable, and creative twists on other traditional soups. Adam Richman makes traditional chicken soup with matzo balls for Passover. 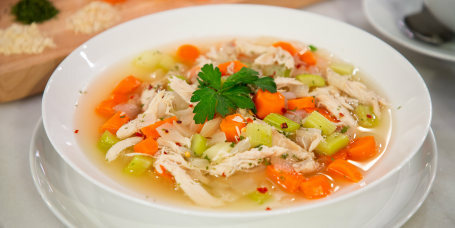 Load up warming chicken soup with leafy greens, root veggies and fresh herbs to ward off the winter blues. 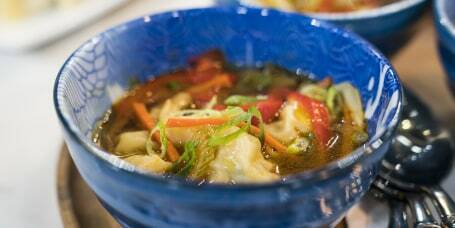 Make easy Asian-inspired soup with frozen pot stickers for a quick and filling meal. 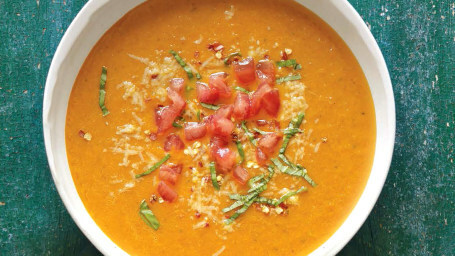 Crisp vegetables, breaded chicken and fresh Parmesan cheese make this easy Italian soup incredibly flavorful. 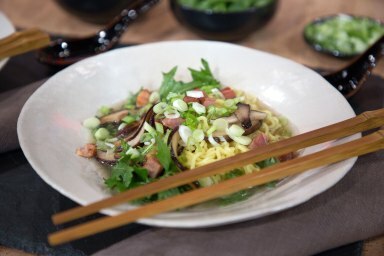 Make healthy DIY instant ramen cups with real chicken, crisp vegetables, fresh herbs and sesame seeds. 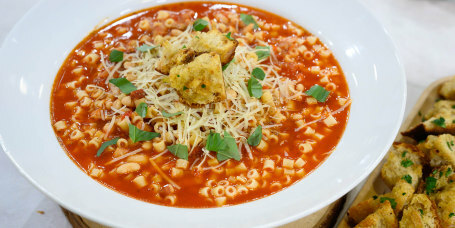 Hearty beans, bright tomatoes and crispy pancetta make pasta fazool soup a perfect winter meal. 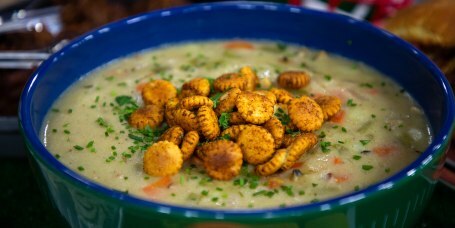 Old Bay oyster crackers add crunch and spice to classic New England clam chowder. 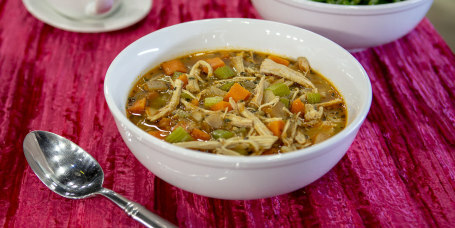 Brittany Williams, of "Instant Loss" fame, shares her healthy chicken soup recipe that comes together in just 1 minute when using an Instant Pot. 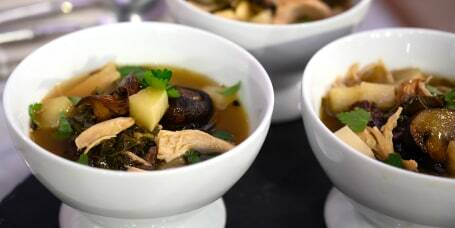 This wild rice soup can be used if you have a leftover roast turkey or can be easily whipped up from scratch. 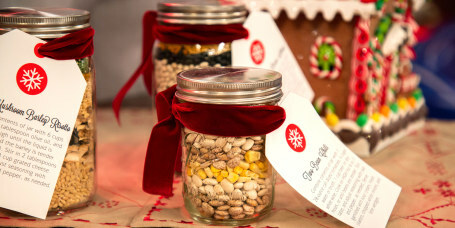 Alejandra Ramos shares a recipe for a spicy black bean soup mix that makes a great edible gift. Alejandra Ramos shares her recipe for chili in a jar. It's perfect for gifting! 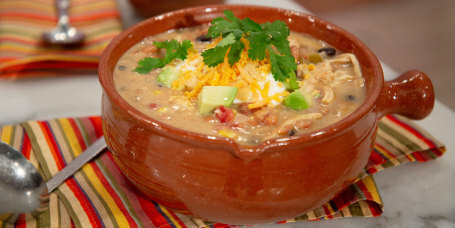 Martina McBride gives classic chicken tortailla soup a creamy, dreamy texture with sour cream. 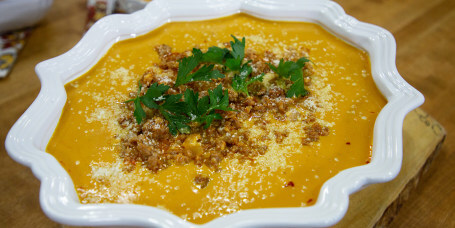 One-pot pumpkin soup gets a savory kick from hearty sausage for a flavorful fall starter or main course. 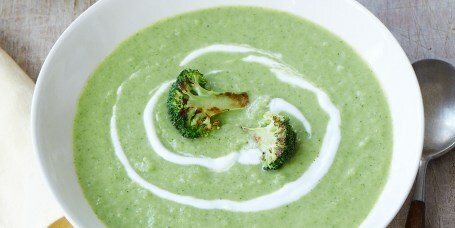 Hearty white beans make broccoli soup extra creamy without adding unwanted fat and calories. 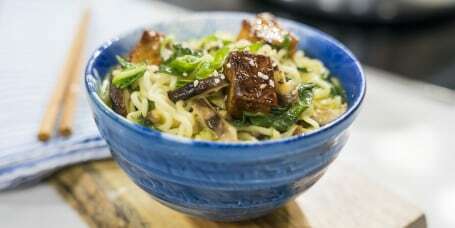 Enjoy a bowl of restaurant-style ramen noodle soup at home fast by making it in your pressure cooker. 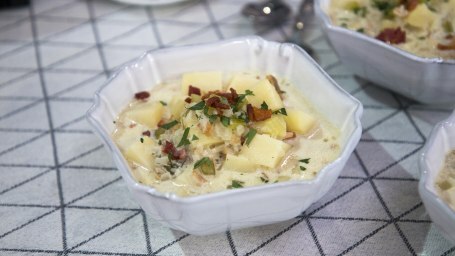 Creamy Cape Cod-style clam chowder captures all the fresh flavors of New England. Cook up a batch of Manhattan clam chowder for a tomatoey twist on the classic soup. 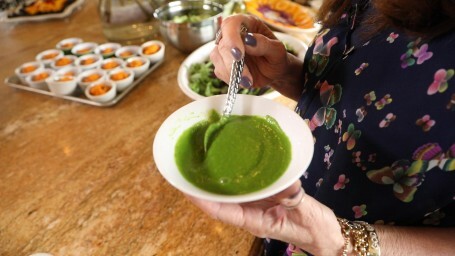 Gazpacho is summer in a bowl for my family. It's filling but very healthy! 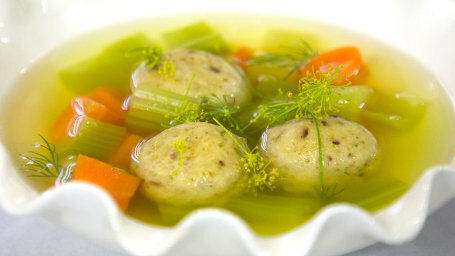 Serve traditional, homemade matzo ball soup with carrots, celery and dill for Passover. 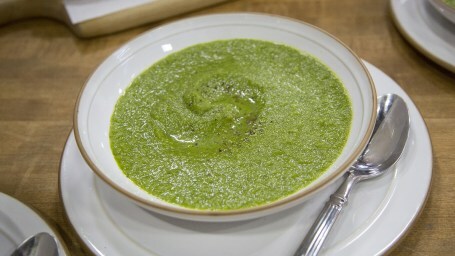 Ward off a winter cold with healthy, meat- and dairy-free soup packed with the goodness of fresh green veggies. 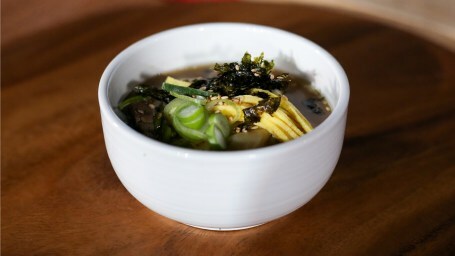 Rich, meaty Korean oxtail soup with dumplings and chewy rice cakes is perfect for celebrating the Lunar New Year. 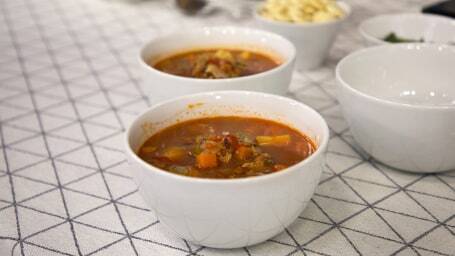 An easy and hearty soup with surprising ingredients! 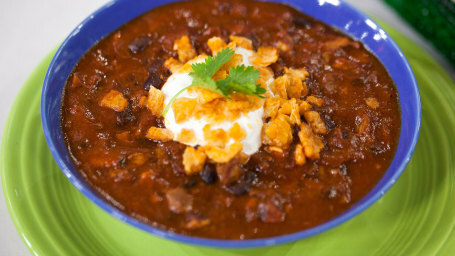 This black bean soup will leave you feeling full for the rest of the day! You can make miso soup at home — it's easy! 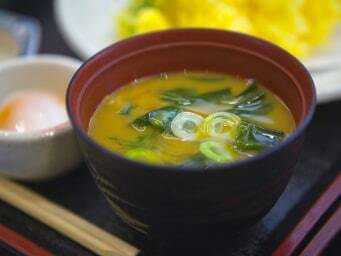 Love miso soup from your favorite Japanese restaurant? 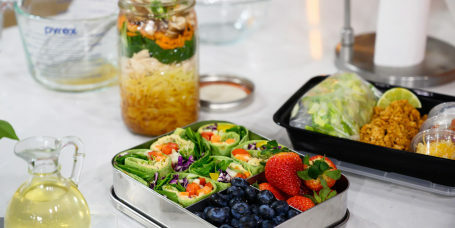 Now you can make it at home with this easy and healthy recipe. 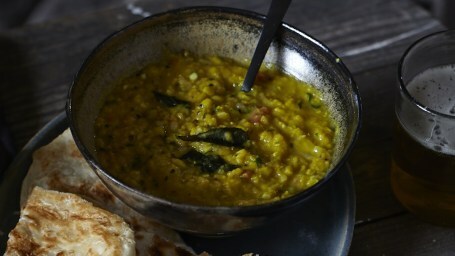 Turmeric, cumin seeds and curry leaves add loads of flavor to this fragrant, spiced lentil soup. 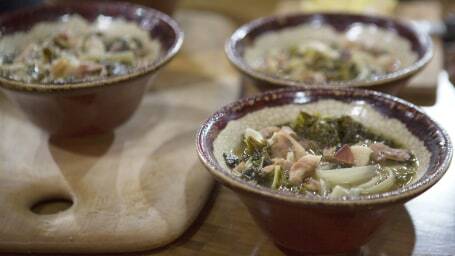 Warm up fast with one-pot ham and kale soup that you can make in just 30 minutes. 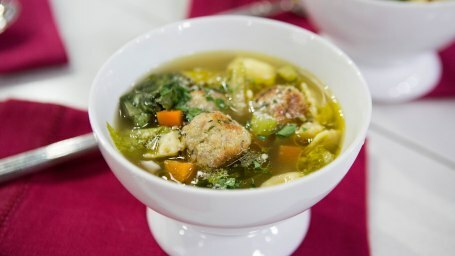 Tender chicken meatballs, leafy escarole and rich chicken broth come together to make an incredible, warming Italian wedding soup. 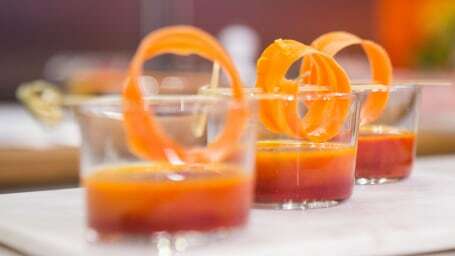 Forget hot soup: This chilled carrot and beet borscht is cool, earthy and refreshing. 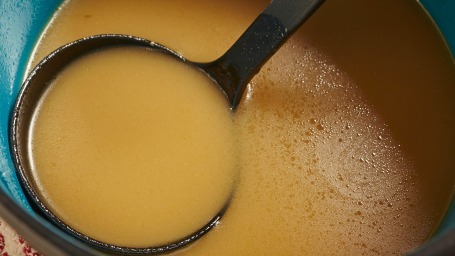 Stay full longer with this healthy and flavorful veggie broth with coconut milk, ginger and miso. 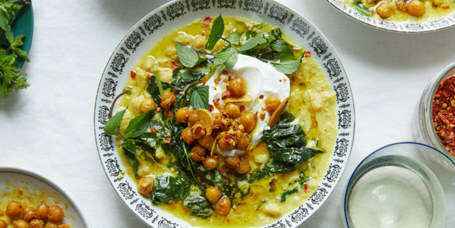 Wendy Bazilian shares her healthy vegetarian bean soup recipe. It might just boost your longevity! 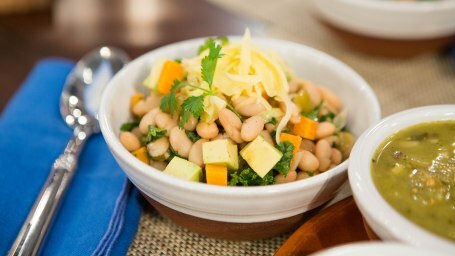 This healthy soup make from leafy greens is packed with phytonutrients and bursting with flavor. 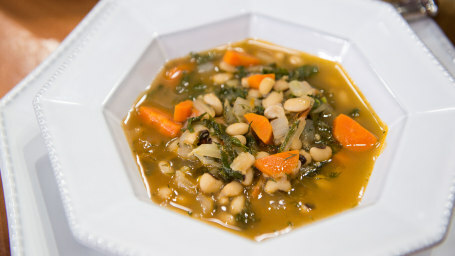 Eat to promote longevity with this Greek stew that is packed with vegetables and finished with heart-healthy olive oil. 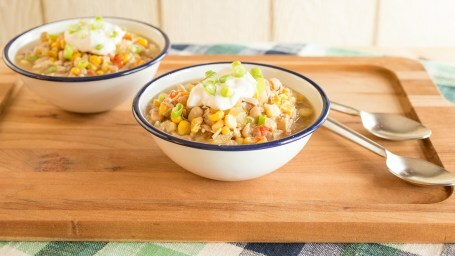 This slow cooker white chicken chili is truly a one-pot wonder: just add the ingredients to your slow cooker and let it simmer all day. 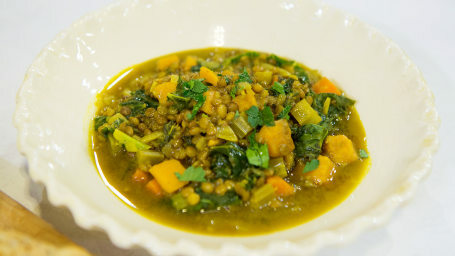 This gluten-free and healthy lentil stew recipe from Jennifer Esposito is full of superfoods, including sweet potatoes, kale and turmeric. 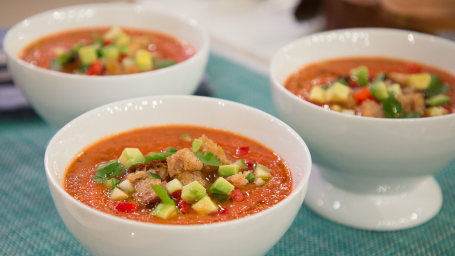 Oprah's basic tomato soup looks rustic, feels rich, tastes honest, and is only 165 calories per serving. 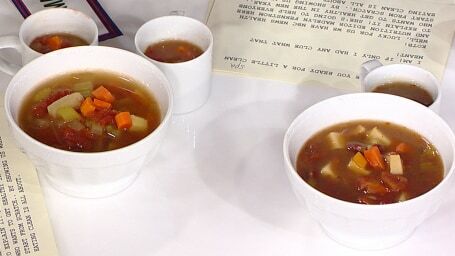 This hearty and healthy vegetable soup recipe has less salt and fat than canned soups, and more vegetables, so it's great for eating clean. 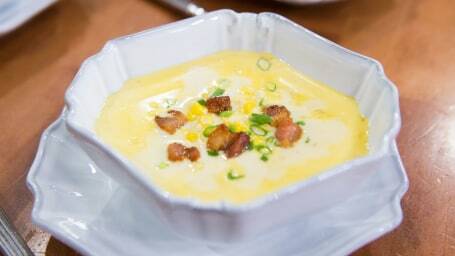 Chef Michael Lomonaco, of New York's Porter House Bar and Grill, shares a recipe for creamy corn chowder with smoky bacon. 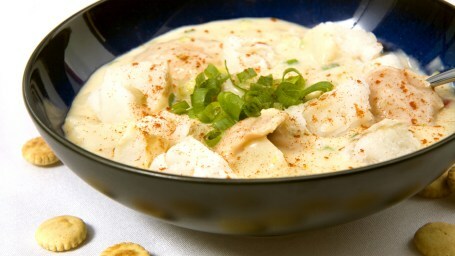 This New England clam chowder has an extra depth of flavor thanks to a combination of clams and mussels. 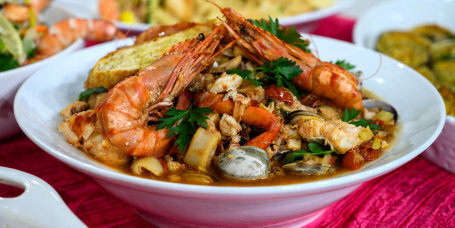 This zuppa di pesce (Italian fish soup) recipe is loaded with all kinds of seafood. 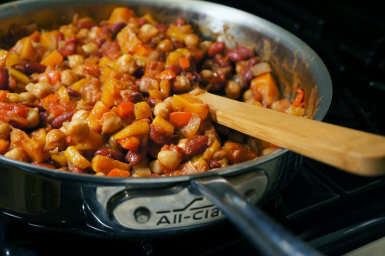 Cranberry or borlotti beans are used in all kinds of Italian soups and stews. 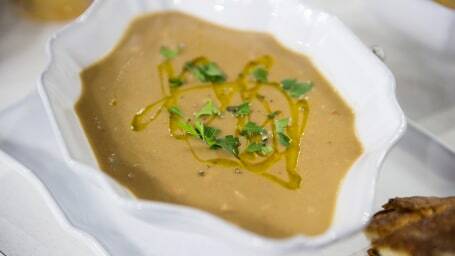 Try them in this hearty soup recipe from chef Scott Conant.